During the holidays, we can sometimes go a little crazy with the snacks. 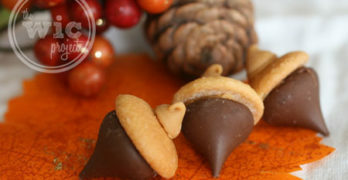 Whether it’s over-indulging on chocolate peanut butter acorns or some other decadent dish, all of those calories can add up. One way to help ease any post-holiday snacking guilt is to snack on Baobab Fruit Cubes. Originating in southern Africa, Baobab Fruit Cubes are chock full of nutrients such as fiber, calcium, and vitamin C. With more antioxidants than pomegranate and acai, not only are Baobab Fruit Cubes nutritious, but they are delicious. 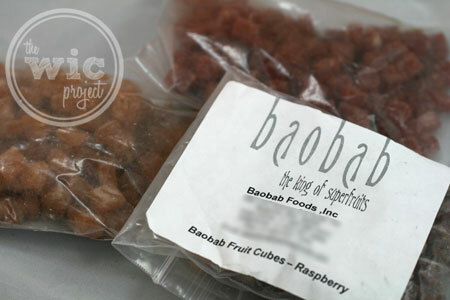 There are three flavors of Baobab Fruit Cubes – mango, strawberry, and raspberry. Typically strawberry is my go-to flavor of choice, but after sampling all three flavors of Baobab Fruit Cubes, I couldn’t decide which one I liked best. 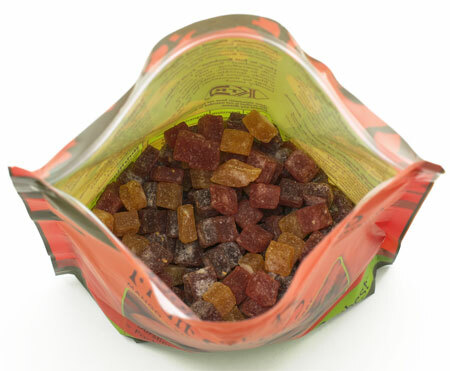 Each of the Baobab Fruit Cubes had the wonderful fruit flavors in a fun, gummy-type cube. It’s softer than a jelly bean, a little firmer than a gum drop, and a much healthier snacking option than either. In fact, the Baobab Fruit Cubes have more potassium than bananas, six times more Vitamin C than orange juice, and (gram for gram) more calcium than milk. All that in convenient bite-sized cubes that have no added sugar and come in at just 81 calories per serving. 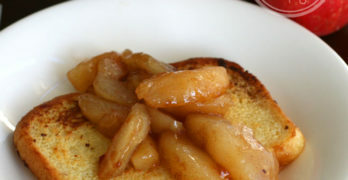 I enjoy eating them as a guilt-free sweet snack – all of the sweetness with fewer calories and more health benefits. Baobab Fruit Cubes taste so good, the kids will probably think they’re eating a candy when they’re really just eating dried fruit. You could even use these cubes for decorating some of your holiday goodies or for fun party snack mixes. Baobab Fruit Cubes will be available from www.baobabfoods.com in 5.5 oz ($8.99) and 16 oz ($18.99) bag sizes, making them a great stocking stuffer or small gift. 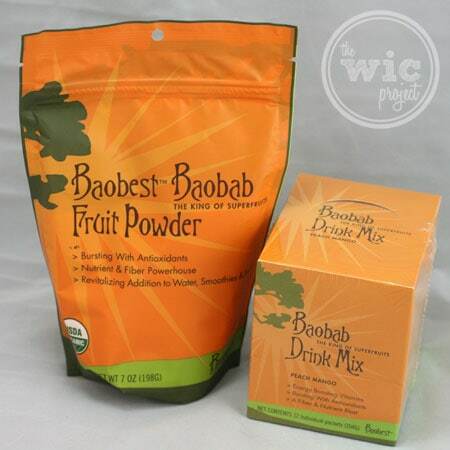 Also available are Baobab Fruit Powder and Baobab Drink Mix. What is the perfect fruit? A fruit so nutritious, so packed full of goodness, that people have been nourished by its bounty for centuries? A fruit so well designed by Mother Nature that it requires almost no processing while maintaining maximum nutrient potency and synergy? There can only be one such fruit – Baobab, the true king of superfruits. One winner will receive three bags of Baobab Fruit Cubs, a bag of Baobab Fruit Powder, and a box of Baobab Drink Mix. Raspberry! Thats my favorite fruit. Mango but my kids would like strawberry! I would love to try this sounds and looks delicious!!! I love strawberries so strawberry for me. I’d love any but if I had to pick one, prob the mango! I would like mango best! Love Mango, so I have to go with mango cube! I am sure I would like the Mango best. This is the kind of flashlight I need. I am alone a lot if the power goes off I need one I Can depend on. T WOULD BE VERY USEFUL ON CAMPING TRIPS TOO. I would love to try their Raspberry flavor. Raspberry!! I am sure all are delicious!! I think I would like mango cubes the most. Wow, all three! I guess raspberry. 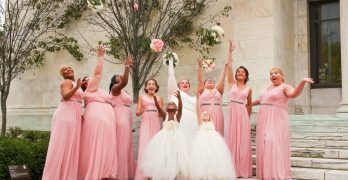 this is so refreshing! healthy! I would really like the raspberry flavor. I think I’d like the mango flavor the best. Hmm, I think my favorite would be mango or strawberry! I’d like to try the mango, they’re my new favorite fruit. I think my kids would like the strawberry, but mango sounds best to me! I think I would like strawberry the most. Mango. Thanks for the giveaway. I think that I would like raspberry best. I think I’d like to try the strawberry. Thanks! I think I would like the raspberry the best. 🙂 Thank you. I’d like to try the Strawberry. Yum!